When you use your Lord & Taylor credit card. With Lord & Taylor email sign up. Lord & Taylor has built a stellar reputation for quality and timeless style. Shop classic fashions for men, women, and kids and save some money using a Lord & Taylor coupon code. There's always something for somebody at Lord & Taylor. You’re shopping at Lord & Taylor? And you’re using a coupon code? Your taste must be absolutely impeccable. But if you run into any problems, read below to find answers to some of the most common Lord & Taylor shopping questions. How come my Lord & Taylor coupon code won’t work? The most likely reason is that you’re using a coupon that has already expired. Make sure you double-check the expiry date and see that it hasn’t already passed. If that’s not the problem, take a look at the coupon restrictions and make sure your order meets them. What are coupon restrictions? Where do I check them? Coupon restrictions are things like a minimum order amount or a certain product that has to be purchased in order for a coupon to be valid. For instance, if a coupon says “15% Off $50+” that means that the discount will only apply if your order total is $50 or more. You can check the restrictions on the promo you want to use by clicking the small “i” or “information” symbol in the upper righthand corner. How much will shipping cost? Does Lord & Taylor offer free shipping? Shipping costs from Lord & Taylor depend on how much you order and how fast you want to receive your order. You can see a chart of shipping prices here. Lucky for you, Lord & Taylor does offer free shipping! Their free shipping promotions change, so you should check back often at CouponPal.com to get the latest free shipping offer. What is Lord & Taylor’s return policy? Lord & Taylor accepts returns of items that are in their original condition with their original packaging and tags. You can use the prepaid shipping label included with your order to return your item. You should fill out the return section of the invoice and give a reason for return. Then ship the item back using the return label. You will then be refunded minus a $6.95 fee for using the prepaid label. Before returning your items, read the full return policy here. I’m ordering a gift. Can I get it gift wrapped? Yes! Lord & Taylor can package your order in one of their elegant gift boxes for $5.95 per box. Learn more here. What are the benefits of getting a Lord & Taylor Card? How can I apply? Shopping at Lord & Taylor with an L & T card lets you get extra discounts and perks, like 15% off any Lord & Taylor purchase on your first day of using your card. You can apply online for an L & T card here, or at any Lord & Taylor store. How can I find my size at Lord & Taylor? LordandTaylor.com has size charts for all clothing, but the sizes can vary by designer. When you click on an item to view the item detail, you’ll see some tabs at the top of the page. The second, “Sizing Info,” will help you find your size for that item. How do I contact Lord & Taylor customer service? There are a few ways to do this. First, you can chat online with a Lord & Taylor representative by clicking “Online Chat” at the very bottom of the page under “Customer Service.” You can also email them by filling out the form on this page and clicking “Submit.” You can also call them at 1-800-223-7440 at any time. What’s the first name that comes to mind when you think of classic, timeless style? Many people would say Lord & Taylor. Whether you need a stunning outfit for a night out or just some stylish basics for your wardrobe, LordandTaylor.com should be your first stop. Lord & Taylor has you covered with great fashion from head to toe. With trendy choices for men, women, and kids, you don’t really need to shop anywhere else. Looking for workout wear? A summer dress? Coats for the kids? A new pair of shoes for work? You’ll find it all at Lord & Taylor. Don’t forget to polish off your look with a handbag and some jewelry. Besides their extensive normal collection, Lord & Taylor also features a Contemporary Shop, with apparel from designers like Nic + Zoe, DKNY, Cluny, and many others. If you’re looking for special sizes, be sure to check out the Plus Shop. Here you’ll find tons of cutting edge plus-size styles from your favorite designers. Founded by Samuel Lord and George Washington Taylor in 1826, Lord and Taylor is the oldest department store chain in the United States. What began as a women’s hosiery and apparel store has now become a department store chain with locations across the country. Over the nearly 200 years that the store has been in business, trends may have changed, but the quality they offer has not. Whether today’s schedule includes work or play, a night out or in, Lord & Taylor has everything you need to look great every day. Complete your style with a smile that can only come from saving with a Lord & Taylor coupon code. Find a Lord & Taylor promo code that you like at CouponPal.com and click "Get Deal" or "Get Code." A new window will appear, showing you the promo code. If no code is required, it will say "None Required." If a code is required for your discount to work, you should highlight and copy the promo code now so that you can use it later. Meanwhile, you'll be redirected to LordandTaylor.com. This is the easiest part. Shop your heart out at LordandTaylor.com. Be sure to check the "What's New" page for the newest styles, and of course the Sale section for deals and discounts. When you're done shopping, click on the shopping bag icon in the upper righthand corner of the page. Now on your shopping bag page beneath your items, you'll see a box labeled "Enter Promo Code." Paste the coupon code for Lord & Taylor that you copied earlier here, then click "Apply." 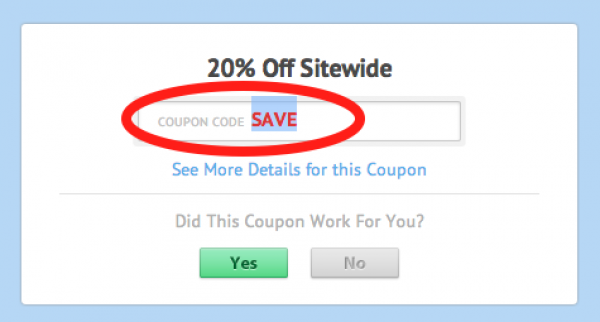 Your discount should appear in red. Then enter your zip code, click "Apply," and click "Checkout." After you click "Checkout," you'll have the option to checkout as a guest or sign in to your Lord & Taylor account. Next, enter your billing and shipping addresses. After that, you'll need to enter your payment information and choose the shipping method you would prefer. Finally, look over your order one more time, then submit it.